Can you imagine watching fireworks alongside the tallest building in the world? Or what about enjoying the festivities from atop the largest Ferris Wheel in Japan? If the thought of celebrating the new year in an exciting new location is appealing to you, then it is time to start planning your trip. You can get started today by reserving a chauffeured car service to take you to the airport, booking your flight, and beginning to rest up for the biggest party of the year. Here is a look at the top ten places to go for New Year’s Eve along with some tips to help you celebrate 2019 in style! Warm weather, clear skies, fantastic food, and the prospect of watching fireworks alongside the tallest building in the world are just a few of the reasons why many Americans head to Dubai for New Year’s Eve. If you decide to head to Dubai for New Year’s Eve, be sure to check out Ski Dubai, the first indoor ski resort in the Middle East. Only in Dubai could you walk out of a snowy ski resort into 80-degree weather! 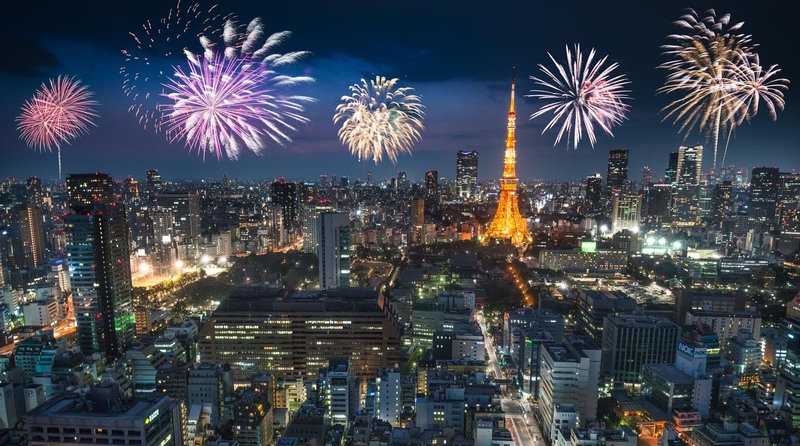 Whether you have been dreaming of seeing Tokyo Tower in person or longing to see fireworks from atop the largest Ferris wheel in Japan, Tokyo is a stellar location to welcome the new year. In addition to the famous countdown at Kasai Seaside Park, Tokyo offers festivities at indoor and outdoor amusement parks that feature thrilling rides and live entertainment. You can even kick off the new year on a luxury cruise by making a reservation on the Tokyo Bay Countdown Cruise. The first New Year’s celebration was said to have taken place in Mesopotamia. To relive history, you can pack your bags and head to the Middle East. Istanbul, Turkey is among the most popular New Year’s Eve destinations for globe trotters. You can choose to celebrate with a seven-course dinner at a sophisticated hotel or spend your holiday on the ski slopes with your family or significant other. Just make sure you meet the necessary visa requirements before finalizing your trip. Marina Bay Singapore Countdown 2019 is generating buzz among party-goers on every corner of the map. From carnival rides to international artists, Singapore’s biggest New Year’s Eve celebration caters to people of all ages. Best of all, the celebration is free for all attendees and features a breathtaking fireworks display that illuminates the famous Marina Bay waters. As the largest city in North America, Mexico City offers a host of exciting opportunities for visitors to say hello to the new year. You can enjoy a romantic dinner and a stellar view of the city at Bellini, a rotating restaurant located on the 45th floor of the World Trade Center in Mexico. Or, if you are looking for nonstop action, you can head to Avenida Reforma to find an edgier crowd and a plethora of bars and hot spots. A growing number of Americans are choosing to ring in the New Year aboard their favorite cruise ship. Cruises are a great option for families, as there are often fun New Year’s Eve activities planned for children. Passengers receive complimentary noisemakers, champagne, and party favors as they eagerly await the arrival of the new year. TIP: Missing your flight could mean missing your cruise ship’s departure! Use a professional chauffeur to help you get to the airport on time. Nairobi’s Sankara Hotel offers a five-star experience to guests in search of an unforgettable New Year’s experience. Guests can enjoy a black tie party and delectable cuisine prepared by the chef at the hotel’s Graze Restaurant. After properly celebrating New Year’s Day, guests can book a mini-safari at the Nairobi National Park and finish their trip with a visit to the Elephant Orphanage. Imagine starting off the new year by “adopting” a baby elephant! 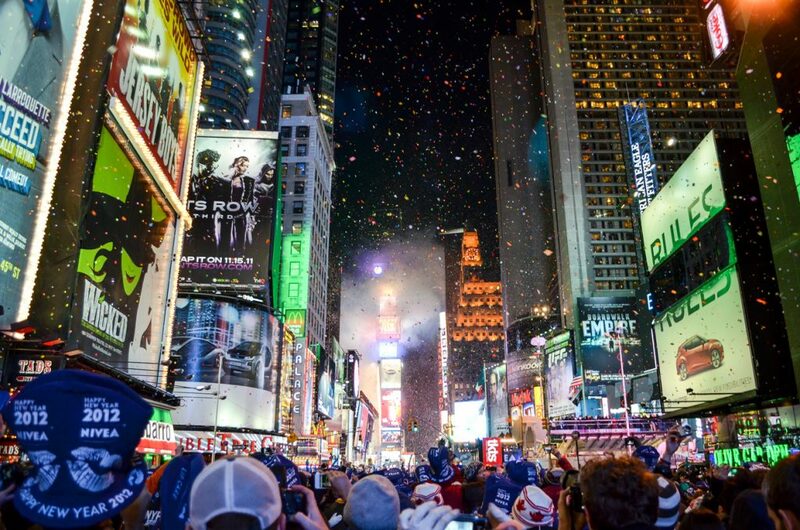 New York is world-famous for its Times Square celebration on New Year’s Eve. The party in Times Square is so famous that 1,000,000,000 people across the globe watch the ball drop from remote locations using their TVs or mobile devices. If you would like to be among the estimated one million party-goers who will pack the streets of Times Square, make sure to book your flight and hotel well in advance to avoid being relegated to middle seats and overpriced hotel rooms located far from the action. How would you like to ring in the new year TWICE IN THE SAME DAY from two completely different territories? The concept of a “Double New Year’s Eve” seems impossible to most people. However, you can turn this fantasy into a reality by heading to beautiful Samoa to kick off the first part of your once-in-a-lifetime New Year celebration. Then, once the clock strikes midnight in Samoa, you can head to the airport to catch your short hour-long flight and cross the dateline into American Samoa for a second round of festivities. Just make sure you are well-rested as you head into your double New Year’s celebration, as you will be awake for roughly 24 hours straight! Whether you choose to celebrate New Year’s Eve in Dubai, Mexico, Samoa or downtown in your own city, it is a good idea to make sure you arrive at your destination with plenty of energy to enjoy the festivities. Start your New Year’s celebration off on the right foot by seeking the services of a professional chauffeur service. 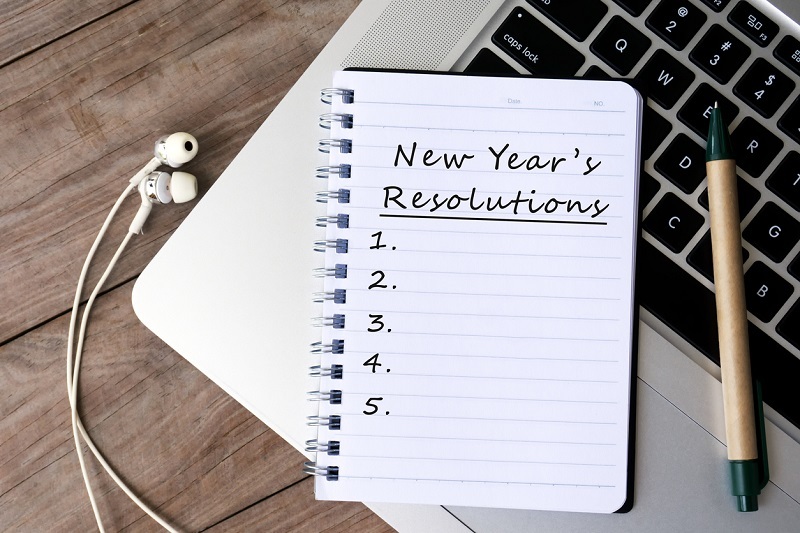 By ensuring that you enjoy a safe, comfortable ride to the airport, you can begin your New Year’s festivities refreshed and ready to welcome 2019 – no matter where you decide to celebrate!